We'd given him long enough to have his hands full with Jacob in the living room. It was time to carve the turkey. 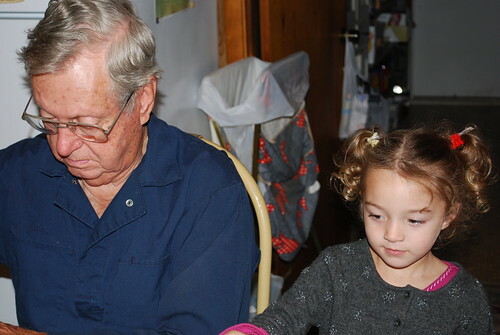 Krista, another one of my great-nieces, didn't want to miss a thing. She even had to get on the other side one time to make sure "Pa" was doing it right. You know he would have listened to her if she had told him he was doing it wrong--you bet he would! 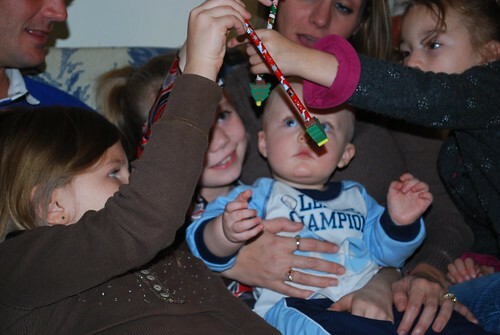 Three of Josh and Misty's kids were "showing" Jacob their pencils. As you can see, he was completely enamored with them. He just wanted to get one in his little hand so he could eat it. Sure looked like candy to him! 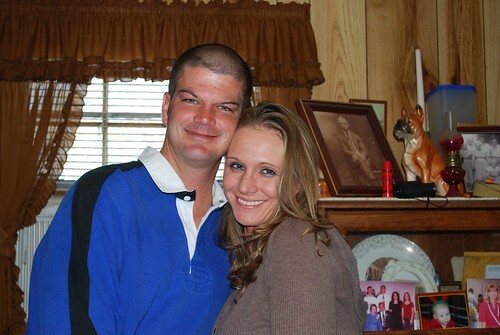 This is Josh and Misty-don't they make a beautiful couple? 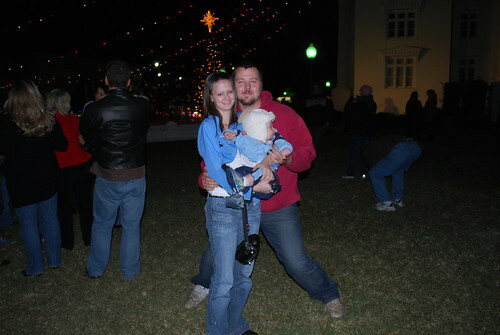 Pictured here is Lindsey, Waylon, and baby Jacob! They have their lives and hands full with this little one! He is such a sweet baby and might I add again, the most beautiful blue eyes. They run in Lindsey's father's side of the family. At least, that's what I think! 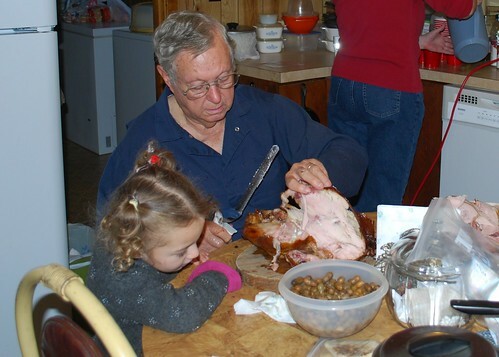 Okay, I'm going to pause again here and publish this portion of my Thanksgiving blog. There is still a lot more to come! Don't forget to check back and see if there's another picture of you! I will post more tomorrow! Hope everyone is having a good December! Christmas is just around the corner! I cannot believe it! Can you?